Chuck Burin is from Apple Valley, MN. His early photo experience taking aircraft photos with his father’s AGFA 120 camera started in 1954. Over the years he has used a number of different cameras including Minolta SRT-101, Topcon RE Super, a series of various 35 mm cameras and on into the digital age with a Panasonic and finally on to Canon. He currently uses a Canon 7D MK II with the standard lens and a Tamron 18-400 for telephoto work. After graduating from the University of Kansas he went through Navy Flight training and received his Marine Corps wings in November 1964. During his Marine Corps service he had two tours in Vietnam flying over 400 combat missions and 800 combat hours in three different aircraft as well as 6 months as a Forward Air Controller on the ground. He managed to take a number of photos and some movies during those years and had the unfortunate experience of have all his camera and movie equipment, as well as 3 months of exposed film, stolen while passing thru Clark AFB, Philippines in early 1966. He was away from aviation between 1974 and 1992 and took very few aviation related photos or video during that time. He rediscovered aviation again in 1992 while attending a CAF Air Show in St. Paul. 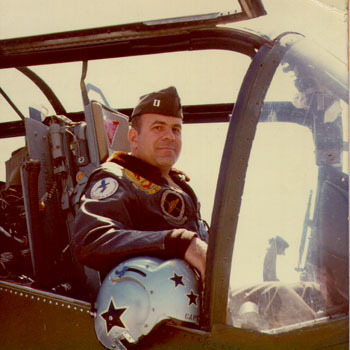 Chuck retired in 2003 having worked for the US Government for 40 years including 11 years as a USMC pilot and 29 years with the US Department of Labor/OSHA He was one of the founders of the OV-10 Bronco Association and served as its Chairman of the Board for 9 years. He enjoys taking aviation photos but not when it gets to the Minnesota subzero temperatures in the winter.